Indian Team Squad Announced For Zimbabwe Tour 2015 Schedule Captain Name Time Table : BCCI had officially released the Indian team for the upcoming tour of Zimbabwe in which Ajinkya Rahane to lead India. Mostly all senior players like MS Dhoni, Virat Kohli, Suresh Raina, Rohit Sharma and R Ashwin are out of this series because they all are on rest for this tournament. Ravindra Jadeja had been dropped. Robin Uthappa, Murli Vijay and Harbhajan Singh make a comeback in this series. Indian team will play three ODIs and two T20 matches in Zimbabwe. The tournament will be starting from 10 July 2015. Now below get complete details of Indian Team Squad For Zimbabwe Tour. 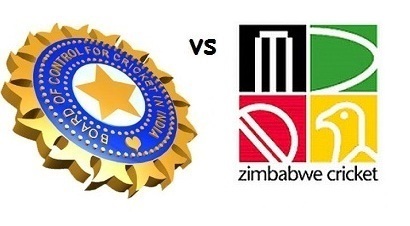 India are set to play three ODIs and two T20s in Zimbabwe starting July 10. The India ‘A’ squad has also been picked for the tri-series against Australia ‘A’ and South Africa ‘A’ and Cheteshwar Pujara was named captain.